When the Moonies say you’ve failed, Honey YOU’VE FAILED! Operation American Spring, billed as a Friday morning multi-million patriot march on Washington, D.C., to oust leadership from the nation’s capital — from President Obama to House Speaker John Boeher — has proven woefully below expectations. But weather’s dampened turnout a bit, he said. 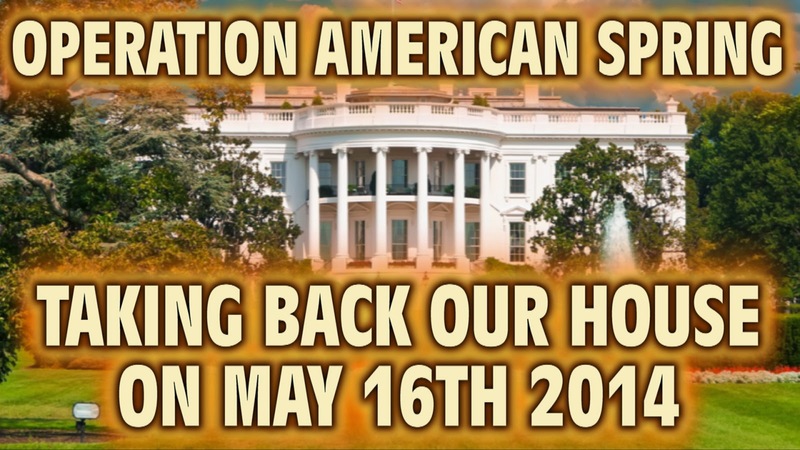 Operation American Spring was billed as far back as six months ago as a rally call for patriotic Americans to force leaders in Washington, D.C., to return to a more limited and constitutional style of governance — and to oust those leaders who weren’t listening. Among the group’s targets: Mr. Obama and Mr. Boehner, as well as Attorney General Eric Holder, Sen. Majority Leader Harry Reid, Sen. Minority Leader Mitch McConnell, vice president Joe Biden and House Minority Leader Nancy Pelosi. Initial projections were for between 10 million and 30 million to come from around the nation and converge on the downtown capital city streets outside the White House and Capitol Building — a number the organizer of the event Army Col. Harry Riley, called optimistic yet doable, given one million militia had already agreed to come. What this all comes down to is the racist mindset in 2014. It’s quite clear that the White Race is dying out. No fast enough to be sure, but it’s dying alright. It’s not simply that a Kenyan Muslim Marxist Usurper has gained control of the presidency. It’s that he was put there by voters who are overwhelming not As Pure As The Driven Snowpiercer. On Friday, the mission may have been the same — but the body count hardly as expected or wished. He also said the some of the planned Operation American Spring members who were planning to head to Washington, D.C., instead traveled to Nevada, to give support to cattle rancher Cliven Bundy in his fight against the federal government over grazing fees”A lot that were supposed to come here went there instead,” Mr. Milton said. He said his group from Texas was set up a few miles outside the capital city, in tents and mobile vehicles at a private property on Route 1. Oh well THAT explains it! And now the REAL American Spring will sing us out.